Clyde Barr returns in “one of the best thrillers of the year” (The Washington Times) that “promises intense, edge-of-the-seat excitement to anyone who picks it up” (Nelson DeMille). Clyde Barr, the drifter with lethal skills, is alone again, wandering the highways of the American West in search of something to believe in. As summer turns to autumn, he trades his car for a horse and heads for the mountains, planning to clear his head and regain his edge with some hunting. But when he runs across an elderly sick man—a Ute Indian from a nearby reservation—Clyde’s dream of solitude is quickly dashed. On the reservation, Clyde finds the old man’s daughter, Lawana, as well as a group of menacing bikers called the Reapers running wild in the economically depressed, half-abandoned village. Gripped by the desire to do good in a bleak world, Clyde offers to stay on Lawana’s ranch to help out until her father is released from the hospital. He controls himself around the bikers, even when he sees them harass a few Native American women—but when the Reapers attack a local boy Clyde has to do something. As tensions rise between the locals and the Reapers, Clyde’s efforts to protect the reservation become a fight for his and Lawana’s lives. And then the stakes ratchet up even more. 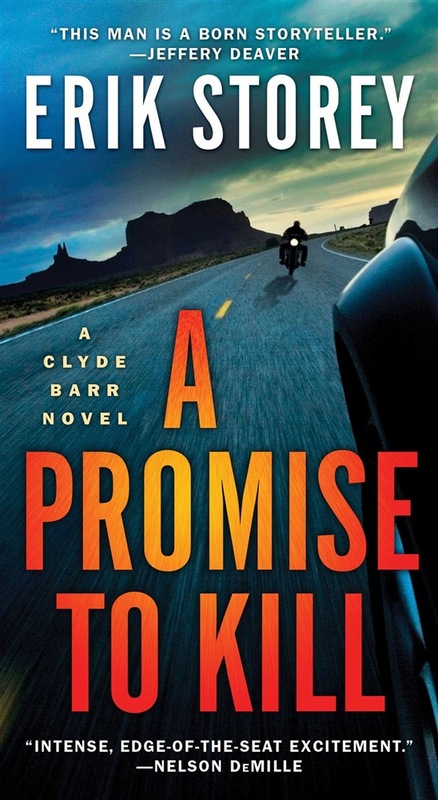 A Promise to Kill is the edge-of-the-seat sequel to Nothing Short of Dying that “readers will have a hard time putting…down” (Publishers Weekly). 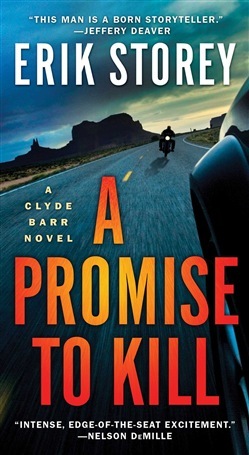 Acquista A Promise to Kill in Epub: dopo aver letto l’ebook A Promise to Kill di Erik Storey ti invitiamo a lasciarci una Recensione qui sotto: sarà utile agli utenti che non abbiano ancora letto questo libro e che vogliano avere delle opinioni altrui. L’opinione su di un libro è molto soggettiva e per questo leggere eventuali recensioni negative non ci dovrà frenare dall’acquisto, anzi dovrà spingerci ad acquistare il libro in fretta per poter dire la nostra ed eventualmente smentire quanto commentato da altri, contribuendo ad arricchire più possibile i commenti e dare sempre più spunti di confronto al pubblico online.